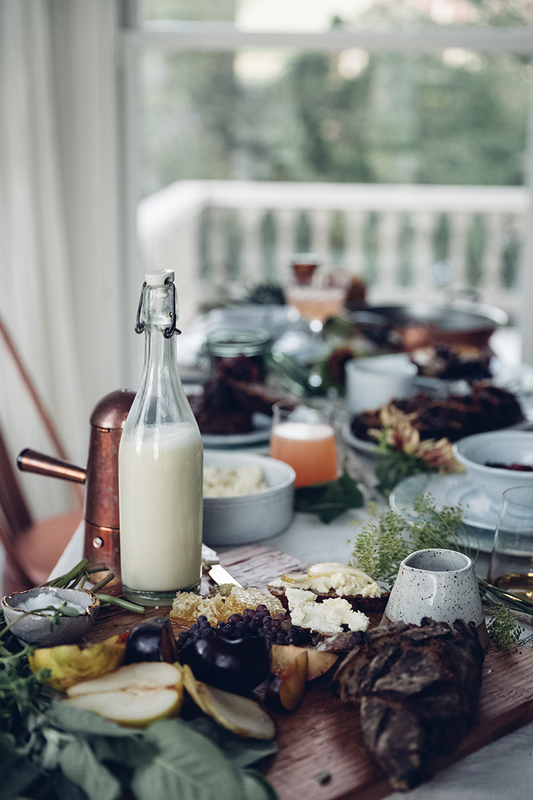 The Red Table restaurant at Nederburg in Paarl is putting on a man feast of note, with a hearty winter meal planned for Father’s Day on Sunday, 17 June. 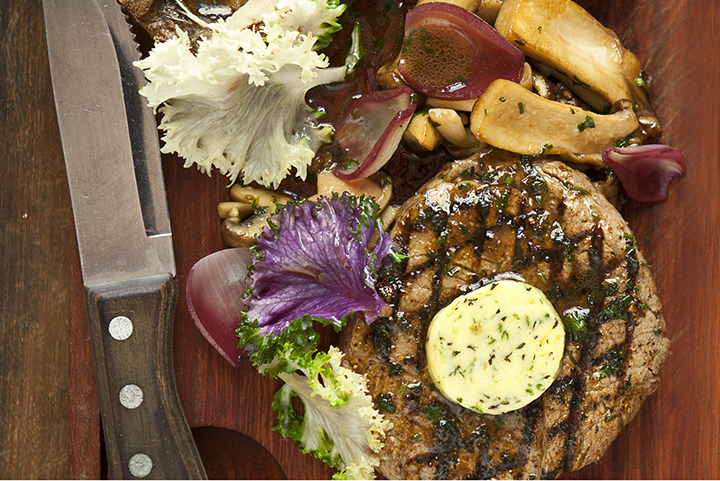 Treat dad to a delicious three-course lunch, offered at R380 per person (wine and service charge excluded). This super-tasty man-menu, conceived by chef Edmore Ruzoza, features a starter of Thai green curry prawns served with a dill and fennel fishcake, or a roasted tomato tart with goat’s cheese, wholegrain mustard and balsamic onions. The main course selection offers a choice between AAA-grade T-bone steak served with a porcini mushroom sauce, Parmesan pomme purée and roasted winter vegetables; baked line fish with roasted fennel sauce, vine tomatoes, broccoli and red onions; or confit butternut with smoked tomato curry, baby beetroot and a papadum. For dessert, select between chocolate and noble late harvest mousse with vanilla carrot sponge and black cherries; or Cape brandy pudding with butterscotch and Amarula custard. 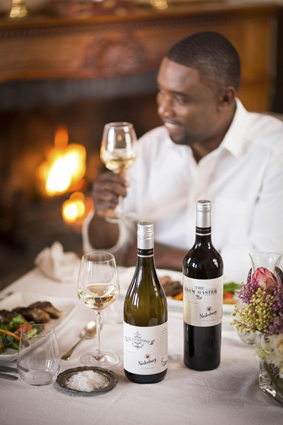 Add some spectacular wines from Nederburg’s extensive and award-winning wine selection, including The Winemasters, Heritage Heroes, Ingenuity and Two Centuries collections to toast Dad. To top it off, every dad will be treated to a surprise gift from Nederburg. For bookings, which are essential, and queries, please call 021 877 5155, or send an e-mail to [email protected]. If Dad is a steak man, treat him (and the whole family) dad to a delicious ‘Steak on the Braai’ lunch at The Conservatory at The Cellars-Hohenort. Join us on 17 June 2018 at 12pm and choose between three steak options, a Twenty-One Day Aged Ribeye (300g) – R 285 OR a Black Angus Fillet (250g) – R 320 OR an Oak Valley Wagyu Sirloin (200g) – R 380. To accompany your steak selection choose a scrumptious sauce of Italian truffle mushroom OR green Madagascan pepper OR a classic béarnaise sauce. Steaks accompanied with allumette fries and a garnish of Cellars salad. Prices include a Devils Peak golden ale OR a glass of Eagles’ Nest Shiraz. For bookings, please call +27 (0) 21 794 2137 or email [email protected]. When it comes to celebrating Dad or that father figure, there is no better way to show appreciation than with a family feast. On Sunday, 17 June, the President Hotel invites locals and visitors alike to pull dad away from the grill, and let the staff handle the grub, so all can enjoy some live music and quality family time by the sea. From 13:00 to 15:00 dads will be treated to welcome drinks, followed by a buffet of sweet and savoury eats expertly paired with dad’s favourite beers. Guests can indulge in a delightful starter of spicy nachos to share followed by a selection of refreshing salads and hearty mains like spicy wings and crème fraiche dip, sweet and sour crispy chicken and beer battered hake, and heavenly desserts including whiskey trifle, and beer bread and butter pudding – all at the price of R320 per adult. To add to the fun, guests can stand a chance to win a year’s supply of beer by participating in a social media competition on the day. Beer pairing is available for guests 18 and older. Children under the age of 3 eat for free, and children between ages 7 and 12 pay R180, when accompanied by a paying adult. 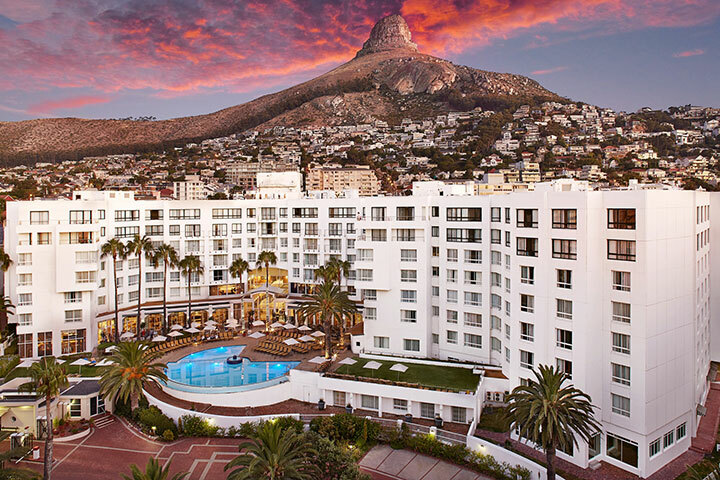 To find out more about the special or to make a reservation email [email protected], contact 021 434 8111 or visit www.presidenthotel.co.za. While Father’s Day has become known for breakfast in bed and family lunch, make this Father’s Day even more special and drive out of the city to the Herford Country Hotel, located only minutes away from Lanseria Airport, where there’ll be a special Father’s Day lunch for only R350 per person. This is the ideal choice for anyone looking for good, wholesome, undisguised food in a most relaxed country atmosphere. The decadent three-course buffet menu offers a choice of starters including Hertford hearty beef soup, east coast mussels, grilled calamari or peri-peri chicken livers with homemade bread served with farm butter. For mains, tuck into slow-cooked oxtail in a rich beefy gravy or lamb curry served with steamed rice, sambals and a poppadum, Dijon chicken topped with mushrooms or slow roasted braised pork belly with Asian basting & orange sauce. The chef’s accompaniments include rice, roast potatoes and seasonal vegetables. Make sure to leave room for the Chef’s choice desserts on buffet. The hotel is situated on 23 hectares of a lovingly-tended estate and combines old-world warmth, hospitality and charm with all the conveniences and modernity that today’s sophisticated guests have come to expect. 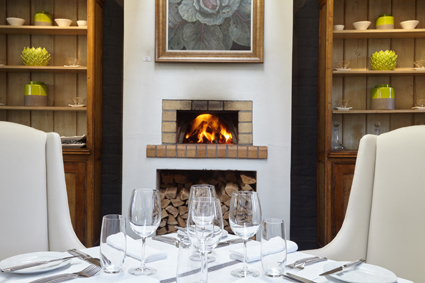 Surprise your dad with a culinary escape to Grande Provence for Father’s Day lunch in the heart of the Franschhoek winelands on Sunday, 17 June or make a weekend of it if you really want to spoil him. Executive Chef Guy Bennett has created a delicious three-course lunch menu at R400 per person that includes a special gift for dad. All dads visiting Grande Provence on Father’s Day will be treated to a complimentary Angels Tears Le Chocolat Pinotage and biltong tasting. With the Grande Provence Winter Heartland dinner, bed and breakfast offer, the whole family can enjoy a stay at the Owner’s Cottage or hide away in the secluded La Provençale at special winter rates. For the ultimate culinary indulgence, the 3-course Father’s Day menu includes a choice of Saldanha Oysters or steak tartare for starters. The choice for hearty mains is between Chef Guy’s famous slow roasted pork belly with sticky lentil ragout; or his beef short rib with white bean cassoulet. The decadent dessert of Valrhona eclairs, honey crème, macadamia crunch, winter fruit and rooibos gelato, is sure to satisfy your dad’s sweet tooth. The cost of the Father’s Day lunch is R400 per person. Pre-paid booking is essential to confirm your reservation. Email [email protected] or call Tel: 021-876 8600. For more information, visit www.grandeprovence.co.za. Spoil dad with a feast fit for a king. Indulge at the newly renovated Vivace Restaurant at the Radisson Blu Sandton Hotel, enjoy a scrumptious selection from the new a la carte menu and receive a complimentary craft beer for dad. 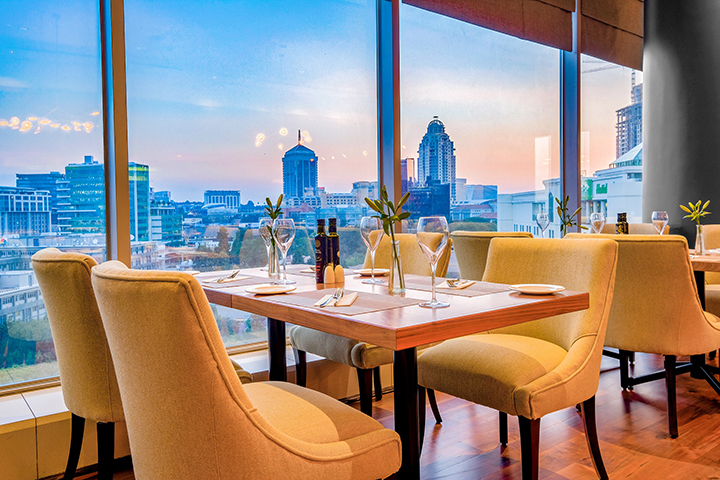 Show dad a unique view of the city while treating him to upscale dining, attentive service and the most breath-taking Sandton skyline views – it’s a unique experience your dad will cherish. Vivace Restaurant is taking bookings from 12:00 and reservations are recommended. To book, contact Vivace on 011 245 8000.